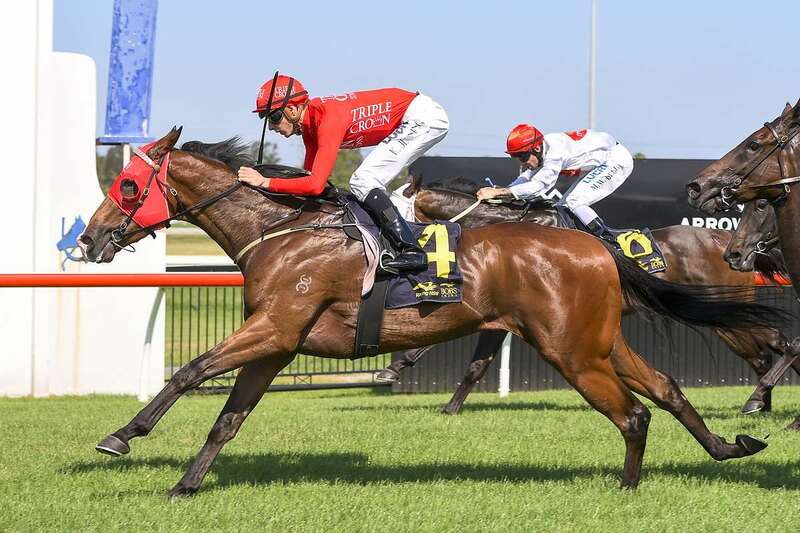 SMARTEDGE set in motion a possible route to the $2 Million Magic Millions 3YO Guineas after winning convincingly at Kembla Grange on Saturday in the 1200m BenchMark 67 Handicap. After jumping to settle in midfield, Smartedge tracked the favourite Soothing as the leaders dropped anchor with the son of Smart Missile clearly wanting a faster pace. Yet Smartedge showed his class in the straight as the long-striding three-year-old was urged for his run by Koby Jennings, and he comfortably held off his rivals to win by a length. The winning prizemoney of $16,630 goes someway towards him qualifying for the Magic Millions 3YO Guineas field, with another good performance needed to ensure his place before the lucrative raceday on January 13. Winning jockey Koby Jennings was pleased with the performance. “I thought they were going to go quicker than they did,” he said. “It looked a little messy at the half mile point but they backed off too much and he’s a strong horse. “Stepping up in trip won’t hurt him at all, as he’s got a big strong action and he powers home. I was impressed with the way he let down after they backed off early.